We have a double edition for the holiday period (Happy Winterval! Merry Festivus!). 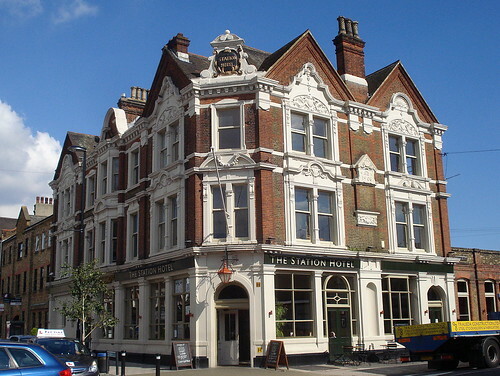 The featured article for this special festive edition is The Station Hotel, SE13 5NB. 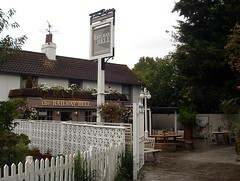 It's bright airy pub near Hither Green station with plenty of ales, so, er, get thee thither. 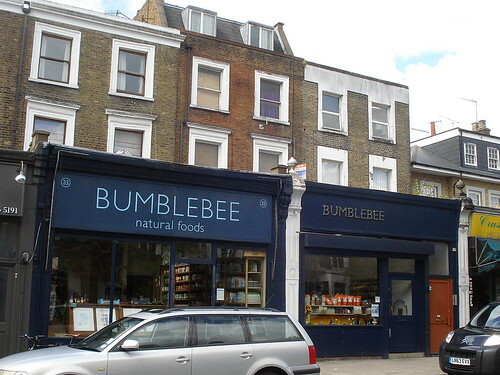 Kat went to Kauri Tree Cafe in Stoke Newington, a cash-based artisanal outpost. I visited the Beer Shop, which despite the name is more of a micropub in a converted shop overlooking Nunhead Green (they have plenty of bottles too, which I'm presuming you can takeaway). 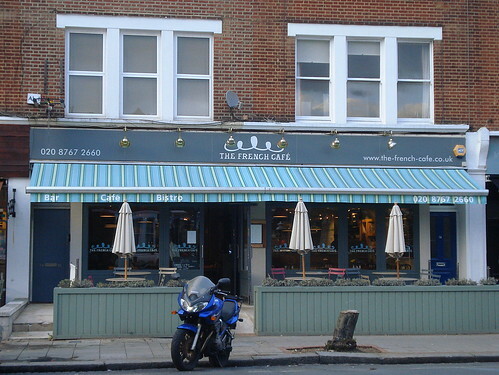 Kake went to Amber Tree Cafe in Deptford, a narrow little cafe with friendly staff in a former pub building. She also visited Gifto's Lahore Karahi in Southall, a Punjabi restaurant with communal tables and decent food. 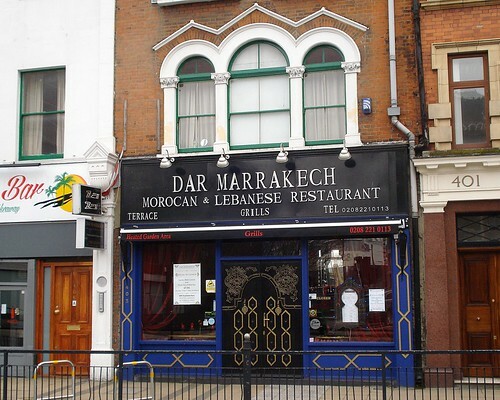 Finally, there's been an update to the Dar Marrakech write-up, a Moroccan/Lebanese restaurant in Stratford. There's a new article for the branch of The Real Greek in Stratford's Westfield shopping centre, where the bean stew is hearty, the cheese is salty and the background music is clichéd to the point of hilarity. 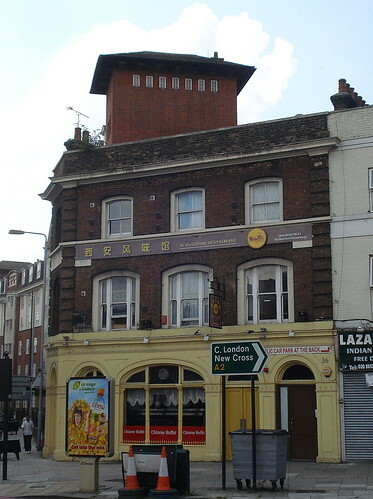 Finally, while it never achieved the status of having its own RGL article, I can confirm that the Birdcage pub in Stoke Newington has closed. 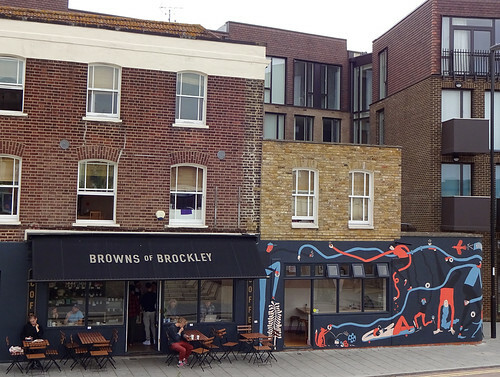 Denizens of N16 will now have to eat odd pizzas in the dark elsewhere. Hello all! A tripe-free update this week. 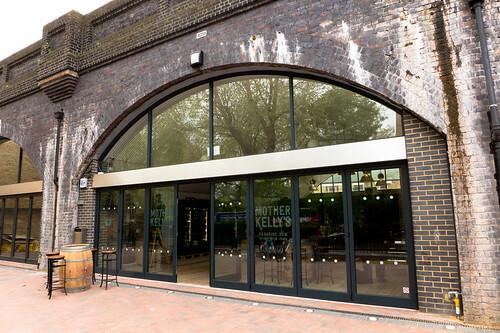 This week's featured article is Mother Kelly's, a rather pleasant bar under a railway arch in Bethnal Green. It has a large number of interesting beers, both on keg taps and in bottles, and it's run by Steve Mason of Mason & Taylor fame, so expect plenty of hops. They also have jugs of tap water on the tables, a trend which I hope other drinking establishments pick up on. 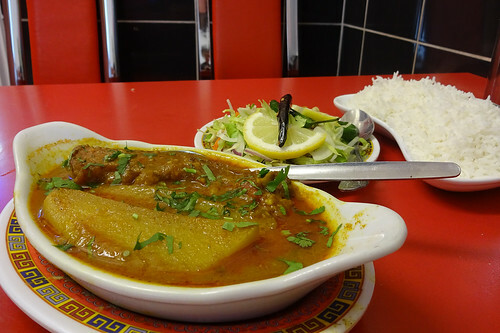 We have two new restaurant articles, with cuisine from opposite ends of the Mediterranean: Sheesh Mangal in Worcester Park serves decent Turkish food ( bob approves of the hummous), while Dar Marrakech is a toddler-friendly Moroccan restaurant in Stratford, which provides belly dancing on request! Dar Marrakech also does Lebanese food, which I judge makes its geographical culinary midpoint somewhere near Malta. 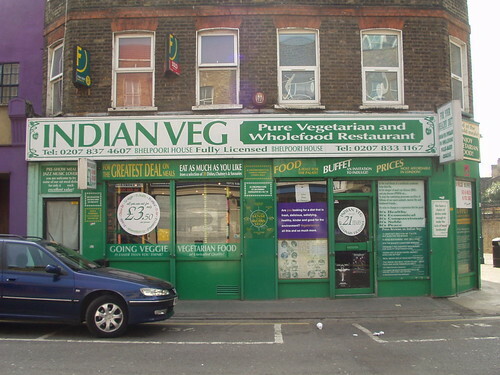 Finally, Shahee Bhelpoori in Norbury has closed. 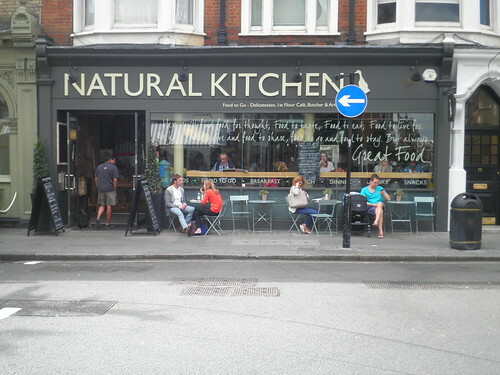 This week's featured article is Natural Kitchen, W1U 5JX, an organic cafe and deli on Marylebone High Street. 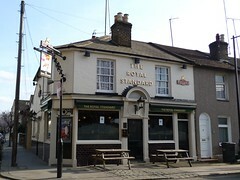 It also has an upstairs restaurant, which is a bit pricy but gets thumbs up. 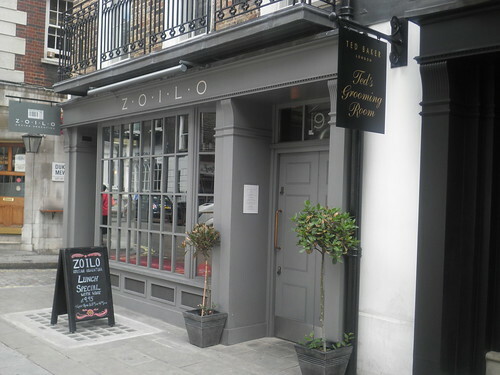 Attracts the usual upmarket Marylebone crowd. 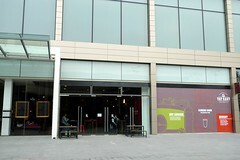 The new article is for East Meets West, a restaurant in Croydon focusing on the cuisine of Dongbei in North-East China, and I can assure you that certain influential figures within the RGL universe are very excited about this opening. 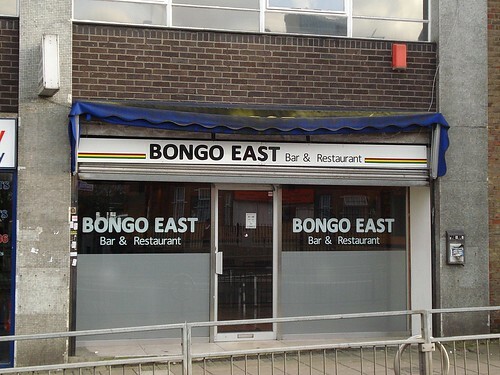 I'm sure we will hear more about this restaurant, and should book our trips to Waddon now. 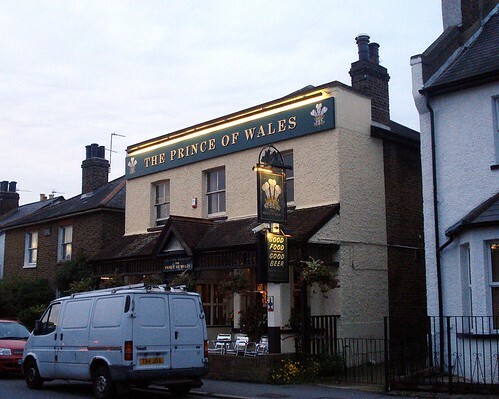 There's an update to The King Edward VII pub (or "King Eddie's" to its friends) in Stratford. 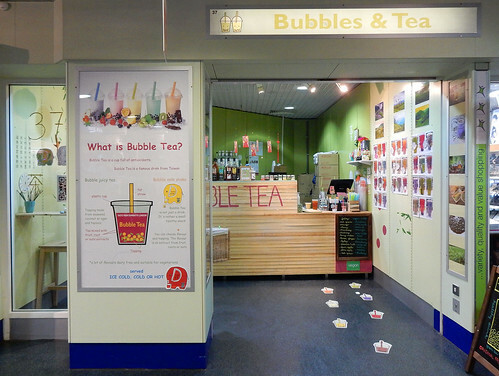 Finally, two reported closures are the independent bookshop Woolfson and Tay near Southwark, and Caribbean Scene Family, a Caribbean restaurant in Stratford.